next March 25, 2015 6:47 p.m. Since the week my wife and I adopted our dog Bagel from a shelter, I have gone to extreme lengths to find new technology for her. Since the week my wife and I adopted our dog Bagel from a shelter, I have gone to extreme lengths to find new technology for her. Reddit is a weird and incredible place to find new gadgets, and I can easily find myself sucked into some of the pet subreddits to see how other people are tech-ing up their dogs. But really, the best new dog gear finds its way to Kickstarter. After a while, you begin to notice a lot of trends and similar products. Things like self-filling dog bowls, LED coats, and Wi-Fi-enabled collars pop up again and again. I subscribe to the BuzzFeed pets newsletter and regularly check Kinja's "The Dogs." I also scour tech sites like Gizmodo and Wired, as well as men’s sites like Gear Patrol, Uncrate, and MadeMan.com — they tend to feature a lot of gear for man’s best friend. It sounds simple, but an easy way to get started is to just search one of these sites for the word dog. And then there’s the dog run, which is like high school for dogs in terms of trying to keep up with the Joneses. We’re regulars at the Bull Moose Dog Run on 81st and Columbus, where there’s a fella named Spike who is always tricked out with the latest gear. Puffer jackets from Canine Styles were popular at the dog run this fall, but by winter it was all about the boots. I sometimes crib his style for Bagel. The dog run gets pretty competitive like that. I immediately outfitted Bagel’s collar with Tagg —it's a GPS tracking collar that lets me see where she is at any time on a map on my phone. There are a few of these trackers out now, but this one is easy to use and has incredible battery life — it literally lasts weeks between charges. It also keeps tabs on Bagel’s exercise levels, locates her dog walker’s path, and allows me to set a safe zone — in Bagel’s case, it’s about ten blocks — so I’m alerted when she leaves the area. 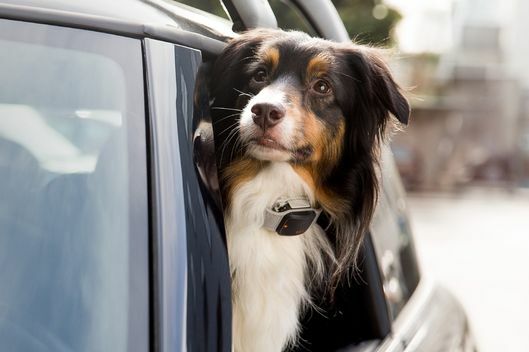 I first read about it on Thrillist; it’s been out for a few years now, but they are releasing a new version this spring called the Tagg GPS Plus that is waterproof and also monitors temperature, so your dog doesn’t get overheated or suffer from heatstroke. I’ll obviously be preordering that one. I have six — yes, six — Dropcams in our apartment, so I can check in on Bagel and see when the dog walker fetches her. 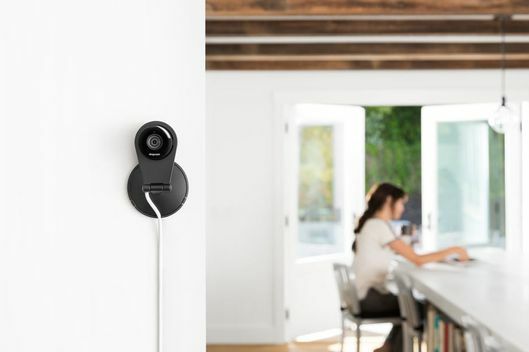 Dropcam is a drop-dead simple Wi-Fi-enabled video camera. It even has a microphone and speaker setup so I can talk to her on our way home. Sometimes I review the recorded footage to make sure she’s happy and safe and not barking at the neighbors. Turns out, Bagel behaves a lot like me when I'm left to my own devices: She naps all day. Most of Bagel’s gear is centered around her safety. Perhaps the most important piece of tech Bagel wears is the Ruffwear Beacon safety light, which I first read about on Mademan.com. 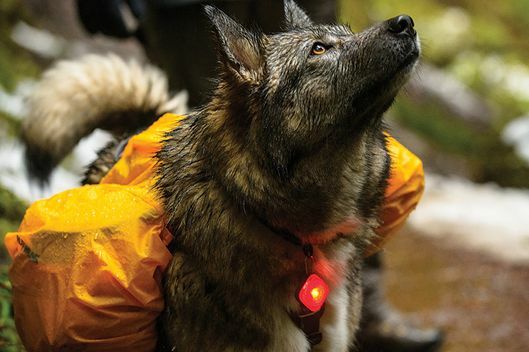 It’s a high-powered and pretty rugged LED light that attaches to the collar. I turn it on during late-night runs through Central Park, or while going through heavy Broadway traffic, so we’re both safer while crossing the street. I backed this thing called the Disco Dog on Kickstarter. 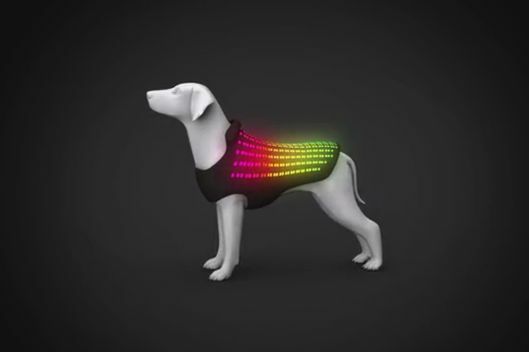 It’s basically a smartphone-controlled LED jacket that lights up like a disco floor. Is it useful? Probably not, but it will bring Bagel a lot of stares and attention, and I absolutely must have it. The best part: If you lose your dog, you can use your phone to send the jacket scrolling text messages like “LOST DOG” along with your phone number. Brilliant. 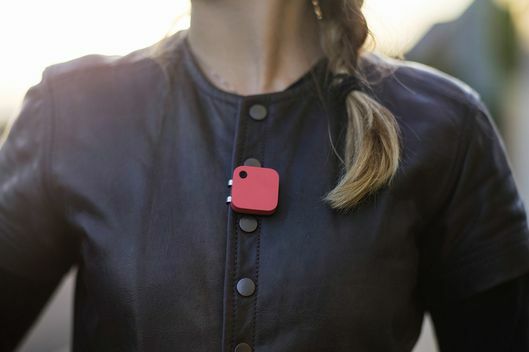 I’m also excited for the Narrative Clip 2 that comes out later this year. It’s a tiny camera you can clip anywhere, and it takes photos throughout the day and compresses them into short, beautiful time-lapsed video. So yeah, get ready for Bagel: The Movie Experience coming to your Facebook newsfeed this summer. While there's a GoPro for dogs, I want one that streams live to my phone. I think the final frontier in dog technology is being able to livestream exactly what Bagel sees anywhere in the world via my smartphone. I have Dropcams to keep an eye on her when she’s home and I’m at work, but I’d really love to drop in on what it looks like from her perspective when she’s out and see all the dog friends she meets during the day.